It's quite natural actually. Any organization that tries to provide a product/service on a non-profit basis, when there exist alternatives from for-profit firms, is a competition for the for-profit firm. A good example is Mozilla. Is Mozilla in competition with Opera Software? Sure. Is Apache a competitor for Microsoft and others? Most definitely. Is Wikinews a competitor to commercial news websites? Theoretically yes, but since Wikinews is so small and undeveloped, practically no. That last statement is important. Thousands of free, non-profit alternatives to commercial products exist [especially in information and software industries], but companies consider these serious competition only if these get meaningful traction in the marketplace. By this definition, Wikipedia is already a serious competition to many for-profit websites that aim to provide information. 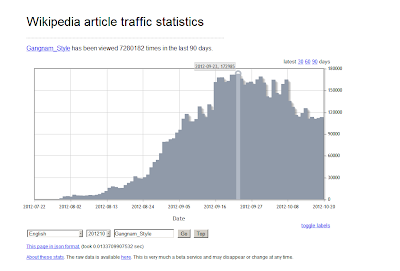 I wrote back in May this year that "The millions of views that Wikipedia pages get each day "eat up" page views (and reduce ad income) on other websites (http://t.co/WSWqw6E0)." I now feel that the problem is even more severe that I thought back then. 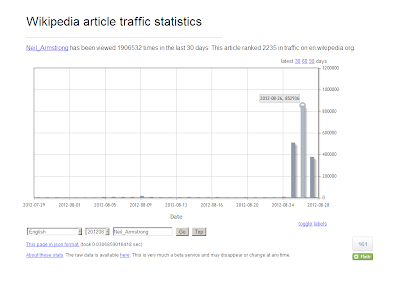 Look at the page view statistics for the article on Neil Armstrong on Wikipedia, following his death. 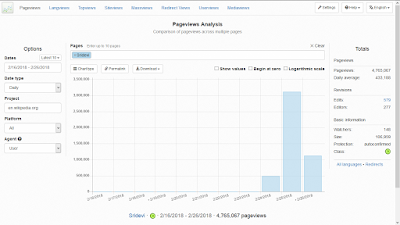 The page views following his death run into several million per day [even before his death, these ran into several thousand per day]. 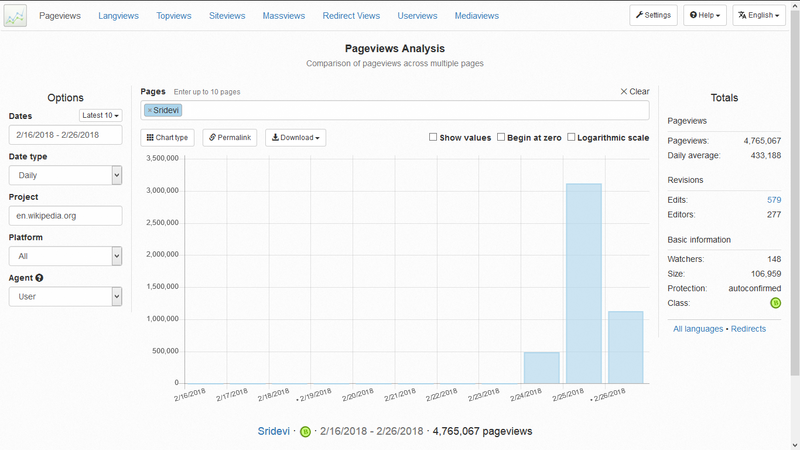 And all of these page views are those that could've been on other, for-profit websites, had Wikipedia not existed [for example, on biography or obituary pages on other websites]. 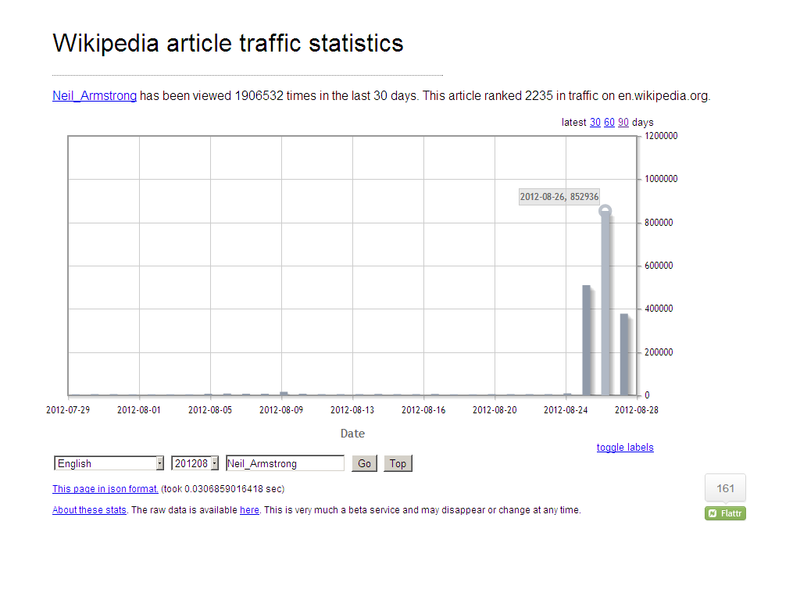 Should Google, Bing, etc., be blamed for blessing Wikipedia results all they way to the top? 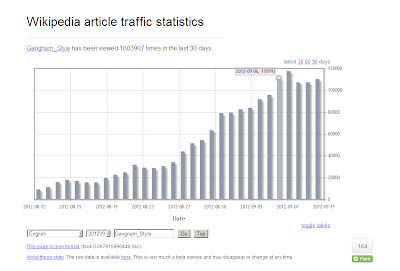 Update: This page lists the most viewed articles on English Wikipedia. Looking at the page views, it's clear that Wikipedia causes significant damage to other, commercial websites. 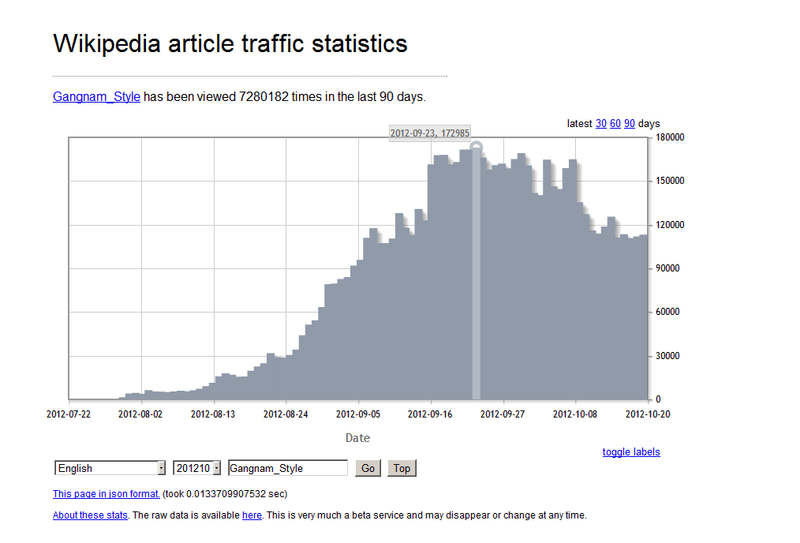 Update [Sep'12, Oct'12]: Cumulative page views for the Wikipedia article on Gangnam Style clearly show the extent of the lost business for other, commercial websites. 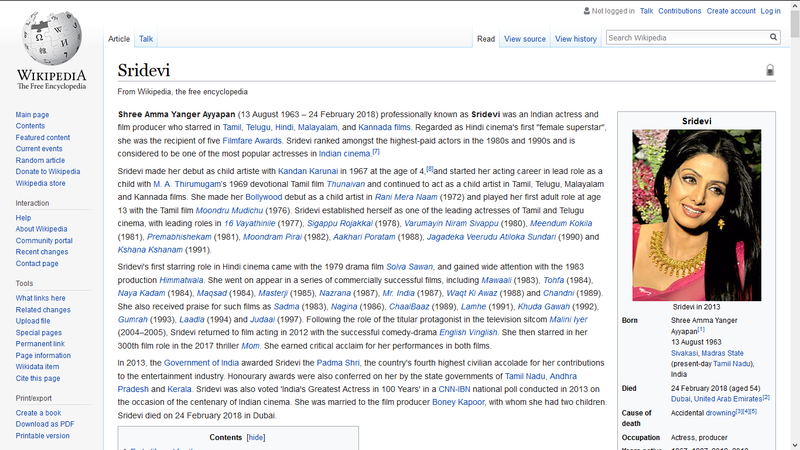 Update [27-Feb-18]: Sridevi's page on Wikipedia alone has had several million views in the last 2-3 days. All of this is ad-business lost for commercial entertainment/news websites. 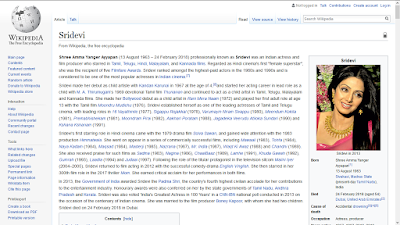 Essentially, the charity/donation funds that Wikipedia gets from folks all over the world can be thought of as pre-payment for such articles by a small set of people for a large set of readers.